Are too many students receiving Food Assistance in Michigan? Are too many college students in Michigan receiving Food Assistance benefits? Are college students scamming the system to get food assistance they don’t qualify for? Those are questions being asked around college campuses in Michigan. At any given time in the 2009-10 school year, there were 10,000-18,000 college and university students who received food assistance –fewer than 2 percent of the nearly 1.8 million food assistance recipients statewide. In today’s economy, the traditional college student isn’t necessarily an 18-to-22 year old; many people who have lost their jobs are now attending college to retrain so they can meet the new workforce’s needs. We know that most of these students – and, indeed, the overwhelming majority of people receiving this benefit – are doing so legally and complying with state standards. 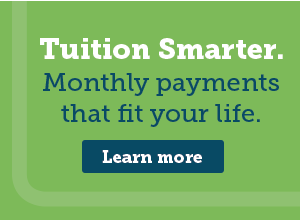 In order for a college student to receive benefits, s/he must meet one of the federal government approved guidelines such as having a child under age six, working 20 hours per week, participating in work study, or being engaged in an educational plan approved by the Department of Human Services. Money received from friends or family members must be reported to DHS as income and will be used to determine the benefit amount. If a person is buying and preparing food with others (such as roommates), everyone (with the exception of disqualified/non-group members) must be eligible or no one is eligible. Students living in a dorm who have a meal plan that provides a majority of their meals are not eligible. If students move home when not attending college – during spring or summer session, for example – this may have to be reported to his or her DHS case specialist. Parents, children under age 22 and others who eat together must have eligibility determined or the case must close. Food Assistance benefits cannot be used for anything other than food products. It is illegal to “trade” benefits for cash or services. That is considered fraud and/or abuse. A person who participates in such is liable for prosecution. The DHS Office of Inspector General monitors online social media and investigates alleged fraud and abuse discovered in the course of this monitoring. Fraud and/or abuse of benefits can result in prosecution. Any person found guilty will be required to repay benefits received. They will also be disqualified from the program for a minimum of one year up to a lifetime. While no one can answer the questions I posed at the beginning of this article with certainty, it is most important that public money be spent prudently and that it goes to people who qualify. If you know a college student – or anyone else –who you suspect is receiving benefits inappropriately, I encourage you to call the 24-hour toll-free fraud hotline at 800-222-8558. You can also report fraud online at http://www.michigan.gov/dhs.